Still looking for a last minute retail item to boost holiday and New Year sales? 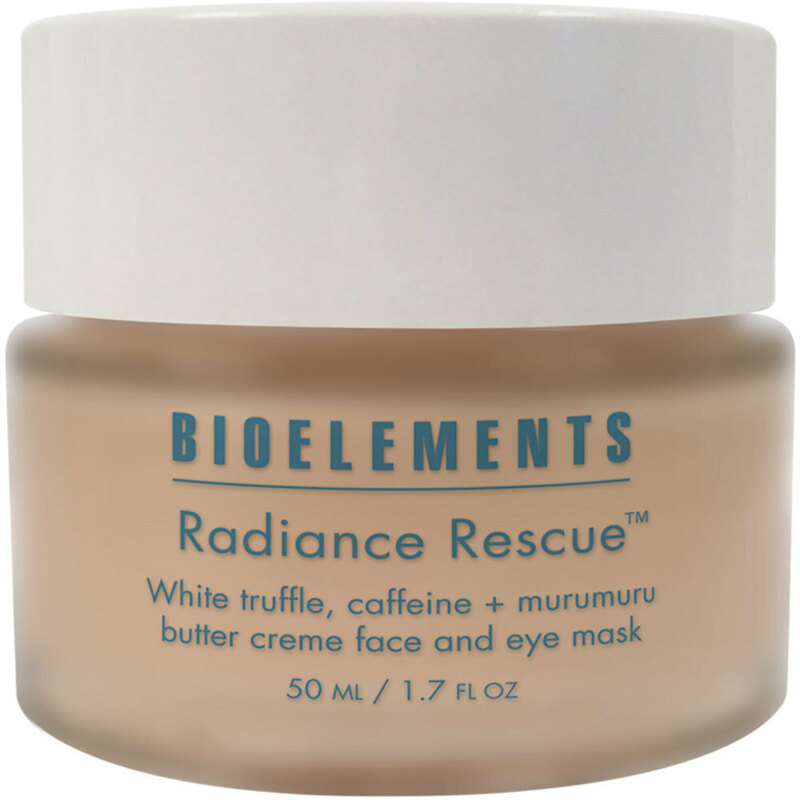 Bioelements Radiance Rescue to the rescue! A powerful combination of white truffle, caffeine and murumuru butter to help wake up worn down skin, deliver immediate glow, improve lines, under eye puffiness, and increase moisture. Murumuru butter is known as being highly emollient and moisturizing, making it great for keeping skin looking amazing this season! Take a look at the entire Bioelements line to see what else may be a perfect fit for your clients! Looking to try something new? My favorite mask has one of my favorite ingredients, caffeine! This mask is used for facial slimming and wrinkle fighting. It can be used on all skin and helps dry,sun-damaged skin. This caffeine collegan mask imparts a chiseled appearance with concentrated levels of caffeine. It promotes the metabolism of fat cells, reducing excess facial fat. Helps restore lackluster skin by healing the damage from sun exposure. Awakens the eye area, and reduces puffiness with a jold of caffeine! Say goodbye to dark circles and lines. Not only does it give immediate results but it delivers a potent combination of Vitamin c and antioxidants with a natural sunscreen! Slim Down and Tone Up - Spa Style! Now that it is almost April, my workouts in preparation for summer are steadily becoming more and more intense. Weightloss is not the only goal - I am desperate to tone all of those tricky areas on the thighs and tummy. No matter how hard I work out, or how intense my exercises are, certain areas just will never see any change till the day I die. As a woman, my gender is working against me, as is time. Fortunately, there are many kinds of spa treatments that can target areas with difficult cellulite and take off inches that the gym never can. The most popular slimming treatment sold here at Pure Spa is the nutrient rich Slimming Tummy Mask. Filled with Guarana, Iodine, Tamanu Oil and Rosemary Leaf Oil, this product packs a huge punch against those dreaded fat cells. In addition, even though the mask specifically says it is for the tummy, you can also use it on most cellulite-prone areas on the body. Simply mix the contents of the packet with 10 ounces of warm water, stir vigorously for about 1 minute, and apply the paste to the desired area. Leave it on for about 15 minutes and rinse off with warm towels or a shower. Be sure to get the measurements on the targeted areas so that your clients can see the fantastic progress they have made! CLICK HERE to see the Slimming Tummy Mask! CLICK HERE to see the Measuring Tape!